I was making some new home cards for the shop, and tried to make two of the same thing (very, very difficult for me...it bores me to make more than one of a design) for business purposes. Well, as often happens, I don't have enough of a certain supply to help create a duplicate card. Or, I do have enough supplies, but after making Card #1, there are certain things I'd like to change for Card #2. ...and here's Card #1, which is okay, but not my fave. The same background paper (retired SU) was used for both, and I stamped new-to-me Papertrey Ink Polka Dot Parade #10 sentiments on top. On Card #1, I just kept adding elements, and wasn't happy with the effect. You know, you add a horizontal thing, and another horizontal, but that's too many, so you add something in a corner, and so on. Ugh. These are beautiful!! LOVING the houses and the doilies!!! I like them both but card 2 is my fav. Precious home cards with lots of yummy details. Hugz!!! They're both terrific Colleen, but I like card #2 best! First of all, dang you have been cranking out some work. I am so jealous! Love both but card #2 with that "Colleen bow" is awesome. The bow caught my eye immediately. Go #2, go!!! Both are very nice, but I agree with you on liking #2 better. I think it's that bow that's the clincher. Colleen, I know the feeling. It could be me talking about disliking duplicates and about adding an element to correct what's wrong with another element. We probably all do that. I do like the warmth and friendliness of both cards. The one little branch on #1 is sweet, and the bow on #2 might be the deal breaker. Very pretty cards with great design! Both cards will be great sellers! Have a great week, hugs! Two beautiful cards but my fav would be #2 with the special Colleen's bow! I do like both, but I'll definitely cheer for Card #2!! These are both such sweet designs for house warming cards! 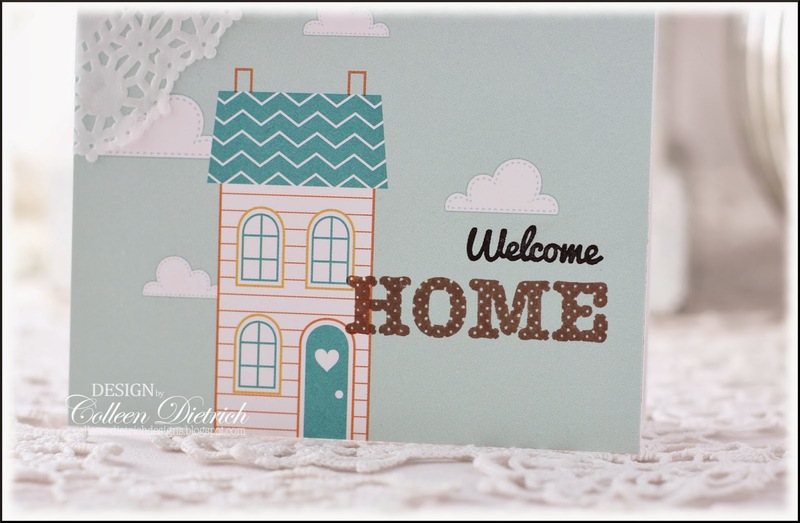 Okay, these are both beautiful cards for new homes, but I also think these would be great for welcoming a soldier home too! 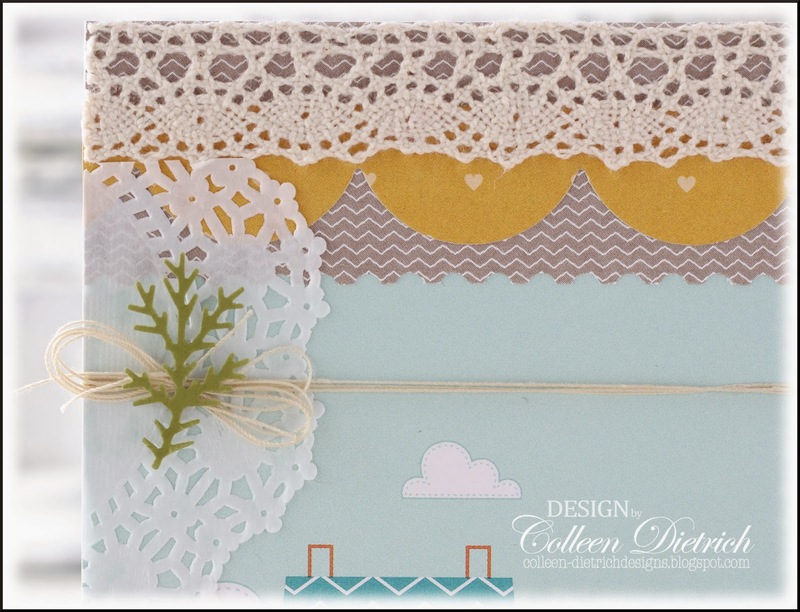 The ribbon on your first card is so pretty it could be a flower, and the lace and sprig of pine on the second are just wonderful too! Okay I'll cheer for card two but honestly I Love them both!